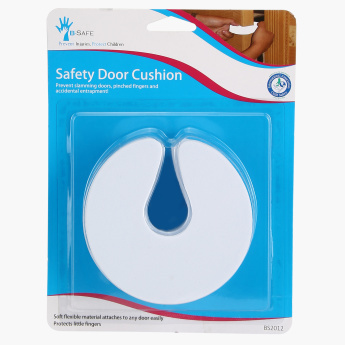 B-Safe Safety Door Cushion | White | Protect your little one from danger in the household. Save AED 12 (60%) – Earn 1 Shukran What is Shukran? Shukran is the Landmark Group’s award-winning loyalty programme in the Middle East, which allows you to earn Shukrans when you shop any of our brands. Ensure your kid is completely safe at home by getting this safety door cushion. It comes in a loop shape and protects your child from getting hurt while crawling and is easy to install and remove. Feature 2 : Easy to use. Feature 1 : Protect your little one from danger in the household.